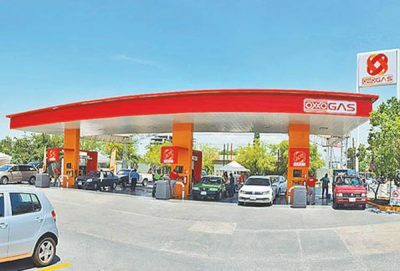 Oxxo Gas joins Hidrosina in Mexico City and La Gas in Campeche and Tabasco as the first stations to drop the Pemex logo. Lomelín said that although the Pemex brand had been a source of pride for all Mexicans the country is now at a new stage in which the goal is to improve efficiency and productivity and find better ways of doing things. Oxxo has more than 300 gas stations and plans to grow that number by 50 new ones each year. The renovated stations are incorporating sustainable energy systems for savings in water and electricity, introducing technology that permits greater contact between customers and attendants and installing display monitors that provide more information to customers. One thing the new stations won’t bring is a relief in fuel prices. That won’t come until 2018 when government controls are removed and the market will set prices. In the meantime, gas prices can rise, as they did last Friday. Magna gasoline rose 1.8% to 13.40 pesos per liter and premium went up 2.4% to 14.37 pesos, increases that were due to the recent rise in crude oil prices, said the Finance Secretariat. The last price increase came January 1 when finance officials said it would be the only one in 2016.